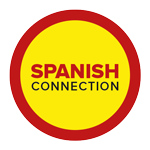 We offer a range of flexible Spanish lessons for everyone. Read our blog posts about learning Spanish. Book a lesson or ask about our courses. My name is Blanca, I’m a qualified Spanish teacher originally from Spain who has been teaching Spanish in Edinburgh for several years. I have developed a communicative method of learning, I think learning a new language should be challenging but not frustrating that is why I believe in a friendly way of teaching focus in every student and their particular needs. My lessons take place in a relaxed and warm environment to make you feel comfortable and help you to go through that path knowing as learning , let’s start that path together, challenge yourself to learn Spanish and let me help make that happen. Whatever the reason for learning Spanish, either learning for fun, travel reasons or professional goals or if you just need a translation service I will be able to draw a programme for you as my lessons are tailored to your needs. As people are different so too the educational way to reach should be different as well. Also in Spanish connection you will find the following.